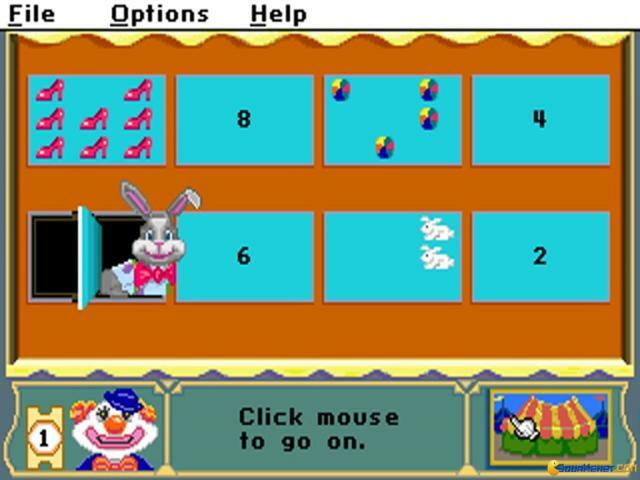 If you need a little computer-based maths education for the little ones, then Math Rabbit is about as good a bet as there is, offering as it does a nice variety of numbers-themed fun and games. 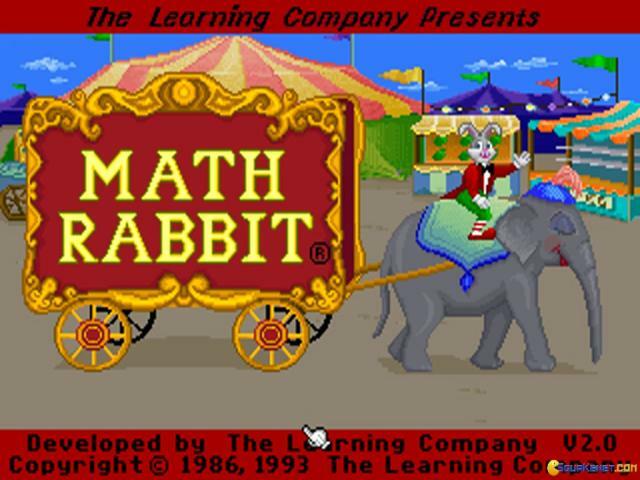 Aimed squarely at the 5-7 age range, there are four games on offer here which aim to turn the little ones on to the joys of maths and learning. 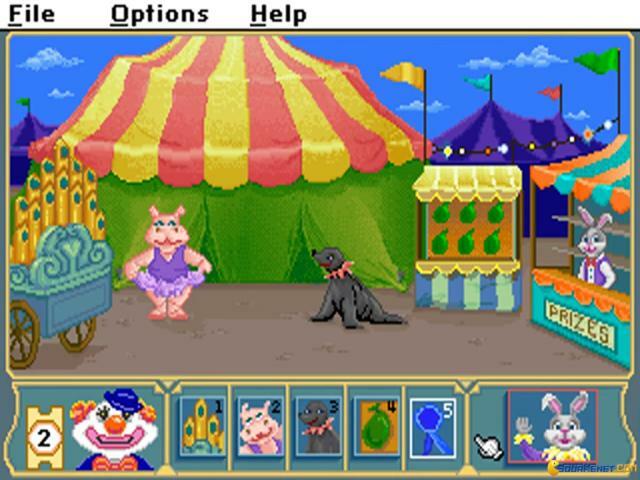 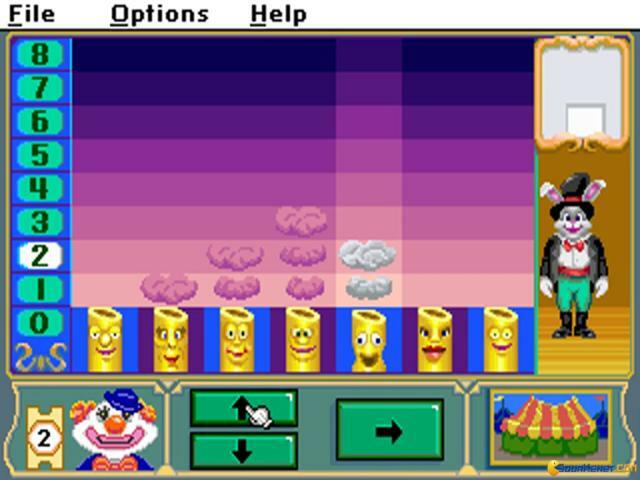 First up there's the Clown Counting games, which have three difficulty levels and which rather obviously revolves around counting clowns. 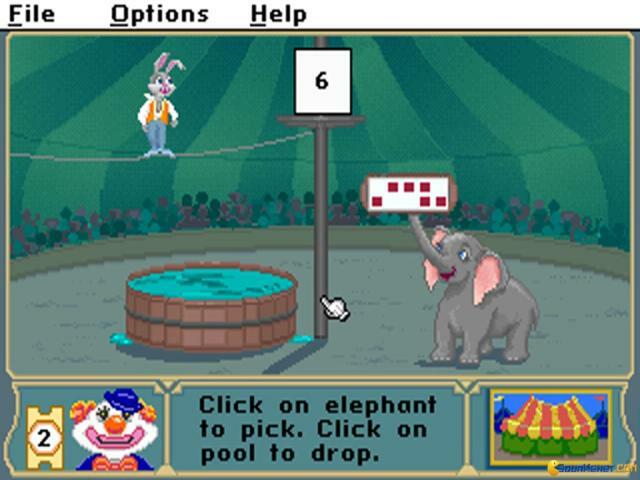 Next there's the tightrope game, which sees the player helping out the Math rabbit as he walks a tightrope and which is achieved by matching numbers and objects. 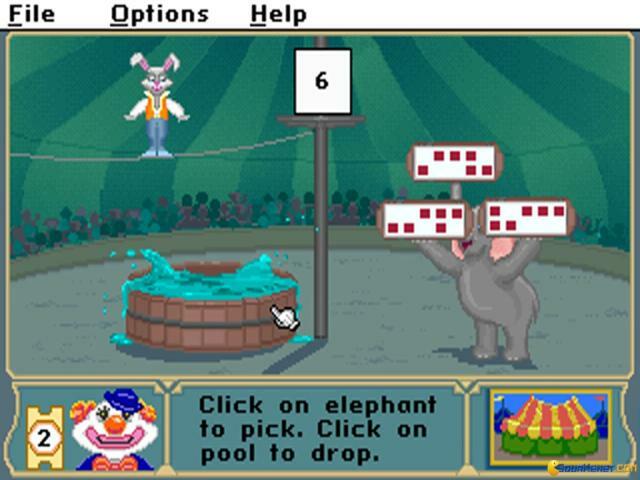 Changing the difficulty here adds in new types of puzzle and this one makes for a challenging but fun time. 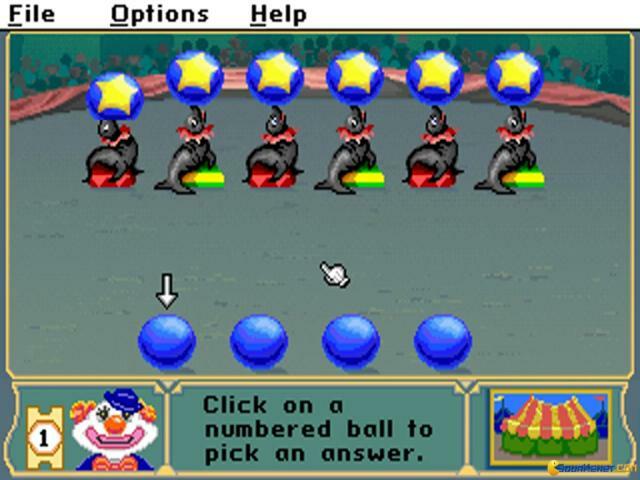 The third game requires players to load up a train with the correct numbers and again uses a variety of skills, while the last game is a memory matching exercise where you must pair up cards that are the same. 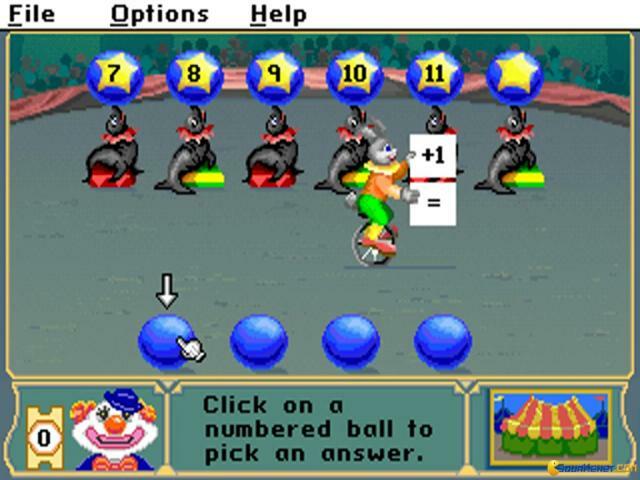 As far as basic maths games go, this is solid stuff. 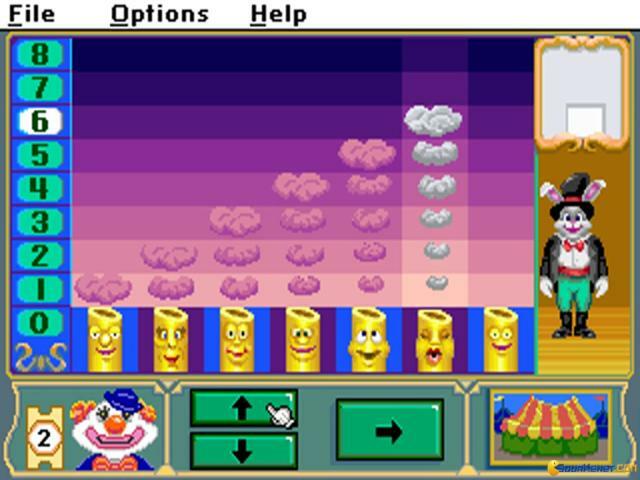 The four mini-games on offer here have a decent mix of educational value and fun factor, so the kids won't realise they're learning while they're playing while the visuals are appropriately bright and vibrant, with some lovely sprites and characters to enjoy. 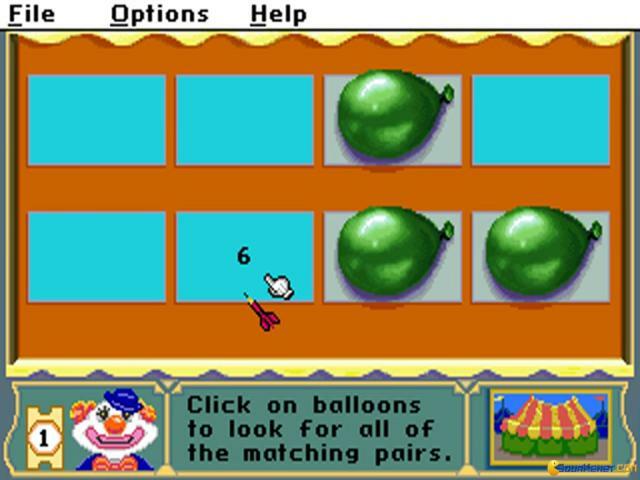 Sound too is similarly chirpy and adds much to the overall feel of the game. 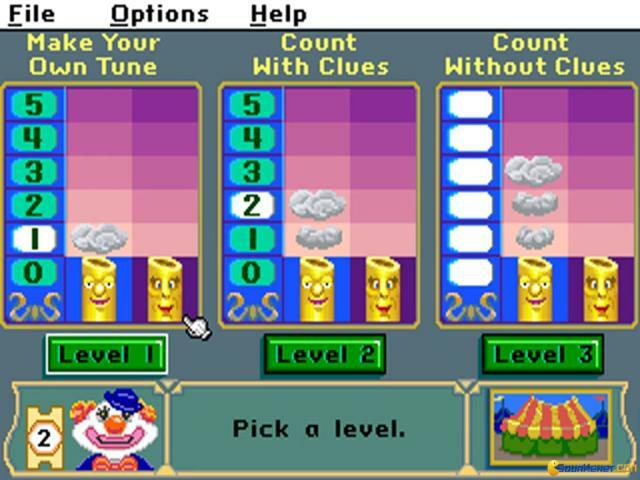 If you've already exhausted the likes of Math Rescue or Math Workshop, then this is a good investment, while the Super Solvers games are equally enjoyable, in a more overtly game-style fashion.